"Sometimes things just seem right: I wanted an egg cup with a quiet organic design as simple as an egg’s. 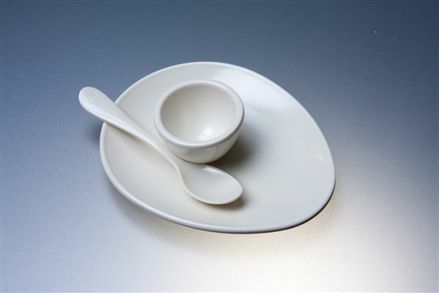 A small, plain cup sits in an ovoid saucer, with space for a small mound of salt and a few buttered fingers. I feel it’s important to be made happy at the start of the day, and this does it for me."